To get started with Feed Hawk, you need to subscribe to one of the RSS feed services listed above. Next, sign into your feed service in Feed Hawk (a 1Password link is helpfully included if you use that app) and activate the share extension. That’s all there is to it. The Feed Hawk app can be used to add feeds to your service, but its real power is in the extension. 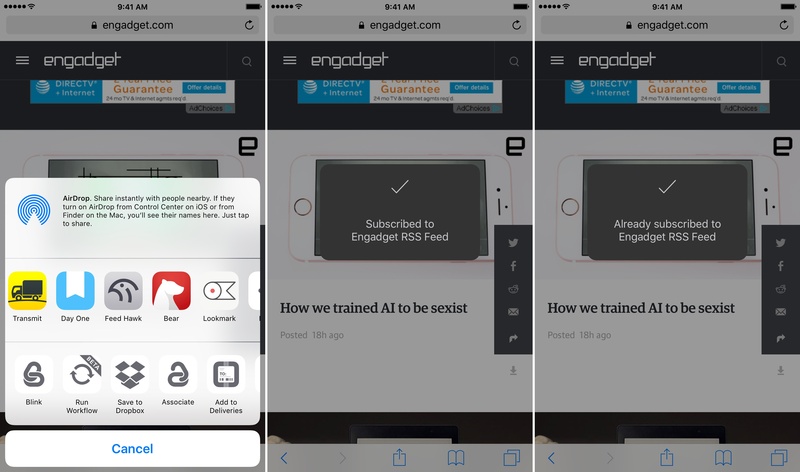 If you visit a site with an RSS feed and tap the Feed Hawk extension, Feed Hawk will subscribe to the feed and display a confirming alert. If the site features multiple feeds, you can pick the ones you want before subscribing to them. If you revisit a site with multiple feeds that you already subscribe to, you can change your subscription selections. You cannot, however, unsubscribe to feeds using Feed Hawk if a site has only one feed to which you are already subscribed. 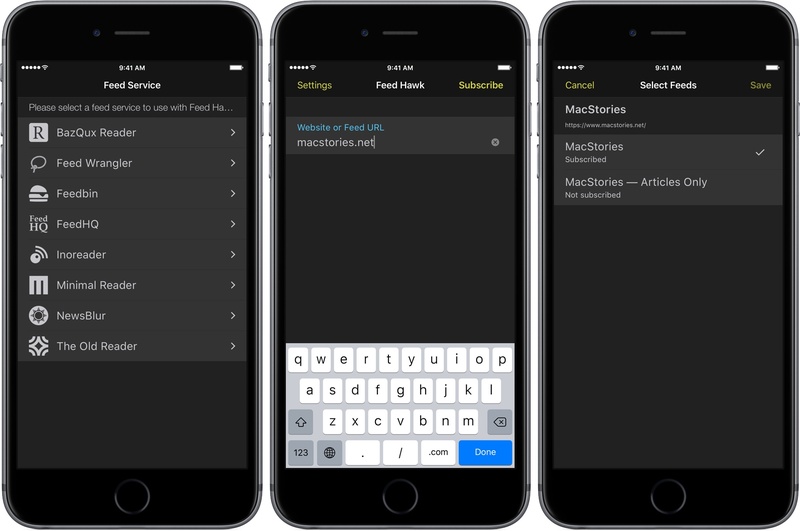 Feed Hawk works with Safari, Chrome, and most third party iOS browsers. Feed Hawk is available on the App Store for $2.99.